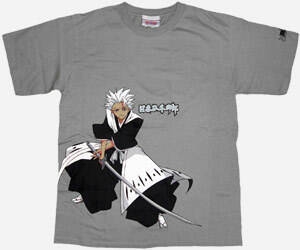 I think this is a cool shirt, just because Hitsugaya is awesome. Nice colour and Hitsugaya has an awesome pose on the lower right side. There’s also a Bleach logo on the left sleeve too. I don’t think it’s on sale yet, but when it’s on the shelf, I’m gonna get one. Just kick Lacey off. Please. I can’t stand Lacey in season five of Hell’s Kitchen. Here’s why. A London based insurance organization, Willis Group Holdings, has leased 140,000 sq. feet of Chicago’s Sears Tower. Along with the lease comes the naming rights to the tallest building in the United States. The group will be moving in later this summer as a part of consolidating their Chicagoland offices. Among other changes aside from the name, there could be some aesthetic changes made to the landmark, including re-coating the exterior in silver to lower energy costs and attract new tenants. The fireworks are back in English Bay this year. Three new sponsors have been found for the Celebration of Light fireworks festival and thus keeping them alive for the summer of 2009. Canada, South Africa, the U.K. and China will be participating on the nights of July 22, 25, 29 and August 1, 2009. More information on the Celebration of Light can be found on the official website. 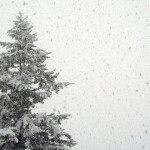 So it’s snowing again. It finally tapered off this morning, but it was pretty thick last night leaving the streets treacherous (as usual). The weather is supposed to improve as the week progresses. The latest Naruto manga, volumes 38, 39 and 40, are now available on store shelves. Viz Media has volumes 41, 42 and 43 set to be released within the next few weeks. Added four new pictures from last Sunday of downtown Vancouver. As much as Higurashi no Naku Koro ni Kai creeps me out, this is pretty cool. The Arc the Lad series is based on the Sony PlayStation games Arc the Lad I and Arc the Lad II. Although the title labels Arc as the main character, it really is Elk that holds the spotlight. The hijacking of an airship prompts the response of Elk to sneak on board to try and save the passengers and crew. What he comes upon is a chimera, a horrible mutated monster that was once a human being. The chimera manages to destroy the airship, but not before Elk manages to get the passengers off in the escape pods. The air ship held many mysteries, one of which a young girl with a wolf/dog creature locked in a cabin and the arrival of men in black suits just shortly before the crash. Adding to the confusion is the mention of “White House” which awakens a horrible nightmare within Elk. The background of the storyline appears when Elk hits a flashback of his childhood as his town is being attacked for their magical power, the power of the flame. Before Elk’s father was shot, he saw a ship land, a ship that he believed to carry his family’s murderers. It was his vow that he would not sleep until he had confronted these people… a group led by Arc. Because of this attack, Arc was labelled a terrorist after presumably killing the king of his homeland, Smeria. However, there is a slight inconsistency in the art as the series progresses, namely as the later episodes start to slightly degrade in quality. However, the action and suspense makes up for this. This is just a base of the plot, but it’s full of adventure, excitement and dangers. As the epic progresses, a new darker plot arises with the introduction of a few new characters. It’s something that no anime fan should miss.